I thought the members might be interested in seeing the new 1999 Magnetic Red Metallic C5. 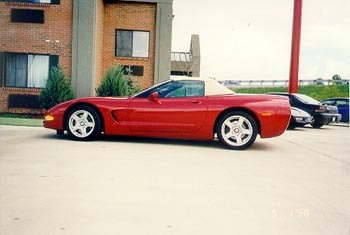 I shot these photos at the while visiting the National Corvette Museum on May 1st, 1998. 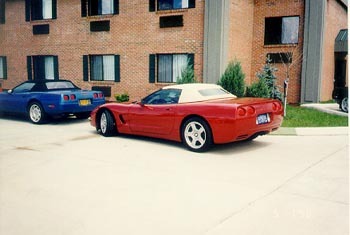 I was at the Corvette plant checking on my new 1998 that was produced the day before my visit. This 1998 C5 Convertible had all the options, including HUD and Telescoping Wheel.